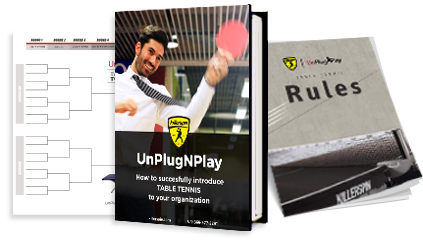 Our foldable Ping Pong table designed for easy and quick setup. This is great for beginners or kids to learn and improve their skill in the game. #UnPlugNPlay in new places and in new ways.